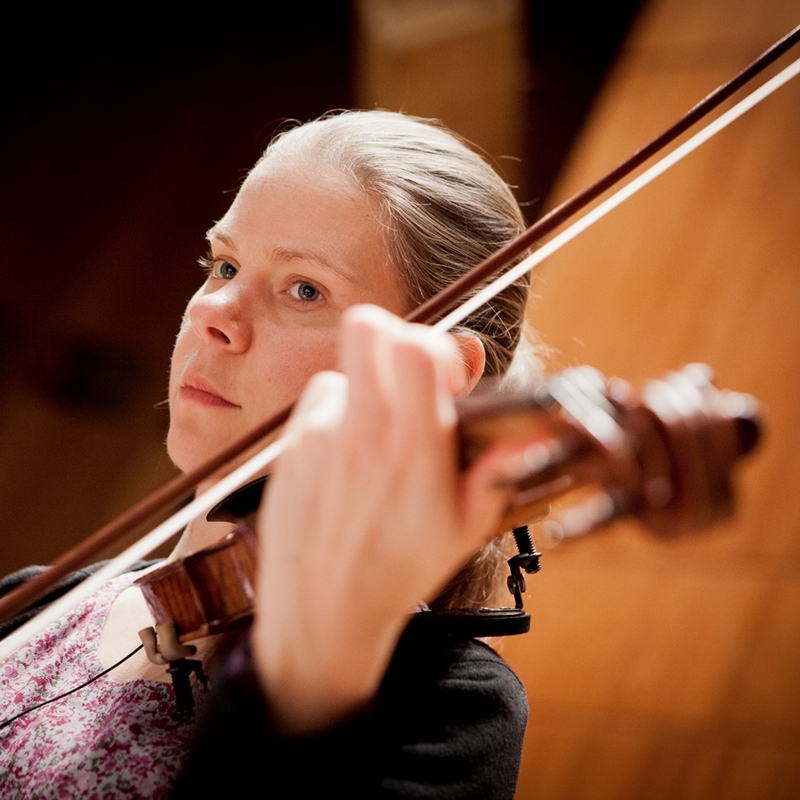 Clara Biss is equally as happy playing the violin or viola in great works of chamber music on London’s most prestigious stages as she is teaching, or touring the world with a symphony or chamber orchestra, and this is reflected in her extremely varied career. In the past year she has found herself performing Beethoven in Mexico, Reich in South America, giving workshops in the foothills of the Himalayas and perching in an organ loft playing Biagio Marini in Venice. Clara plays with Endymion, with whom she has performed at the Wigmore Hall, King’s Place and on the South Bank, as well as at the BBC Proms. She has collaborated with, among many others, The Edinburgh Quartet and The Dante Quartet, and founded The Manus Ensemble in 2010. Clara has participated in Open Chamber Music at IMS Prussia Cove, as well as performing at festivals such as Cheltenham and Winchester. Having spent four years as a member of The Royal Philharmonic Orchestra, she now works regularly with Britten Sinfonia, as well as playing guest Principal 2nd Violin and freelancing with many other orchestras and ensembles. Aside from playing, Clara teaches violin and viola to the Choristers of Westminster Abbey, and has been a tutor on music courses including ‘Cadenza’ and ‘The Vacation Chamber Orchestra’, as well as being involved in many education and community projects. She studied at the Royal College of Music with Itzhak Rashkovsky and Ivo van der Werff, and at the Guildhall School of Music and Drama with Krysia Osotowicz.